Need some healing restorative hot veggie broth prompto! For chicken stock I use saved up chicken carcasses. 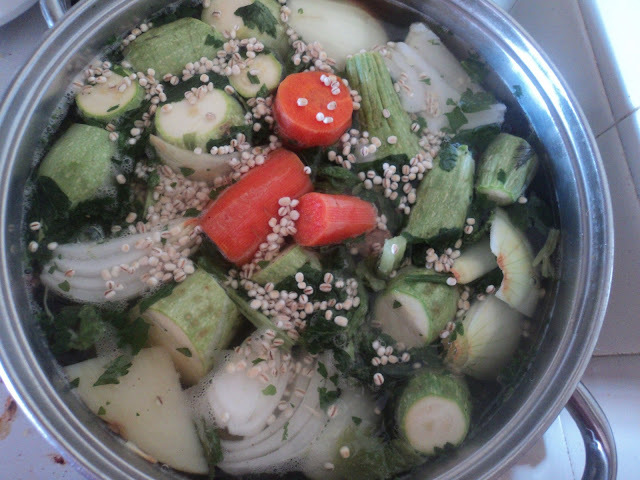 Bring to boil and simmer till veggies are done. The Broth freezes very well. 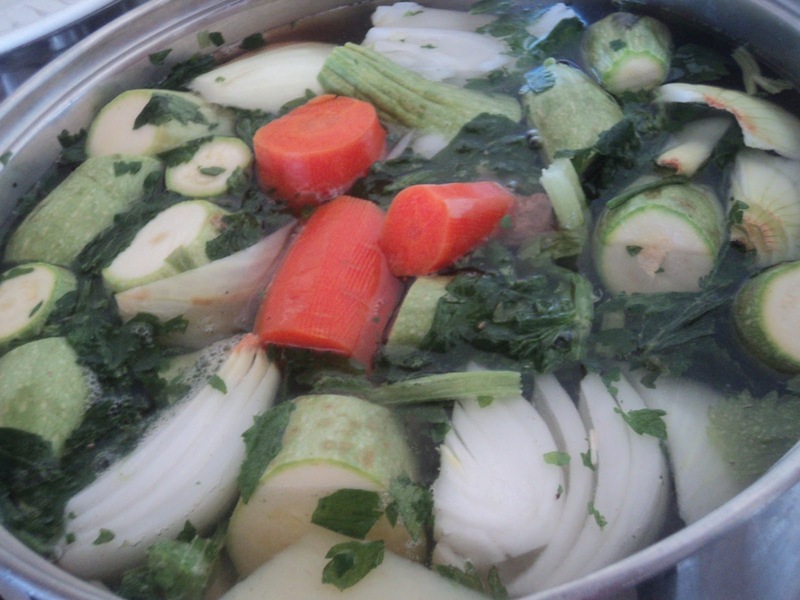 I ALWAYS have a tub of just the broth in the freezer (veggies go soggy after freezing). The broth is great reheated as is, or used as a base for kreplach or noodle soup.